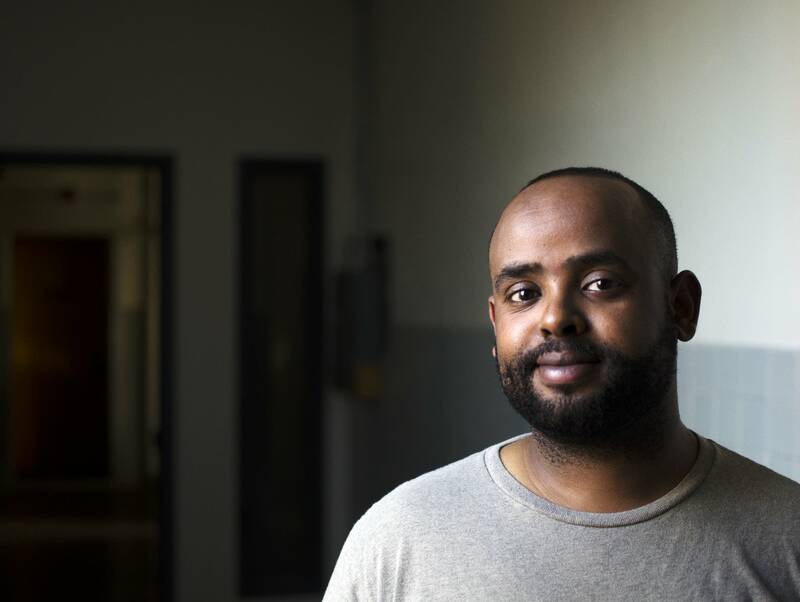 In a former Catholic school in East St. Paul, a group of contemporary Somali-American artists is presenting an exhibition of new work. St. John's High School lay vacant for years, but in 2014 Darul Uloom, a Minnesota Muslim association, purchased the building along with the neighboring church, which it now uses for daily prayer. The school is still in disrepair, with broken windows and cabinets. But when photographer Mohamud Mumin first saw the space, he immediately saw its potential to host an art exhibition. Over a period of weeks, Mumin and five fellow artists have converted classrooms into galleries, presenting their photographs, sculpture, videos and performance art. 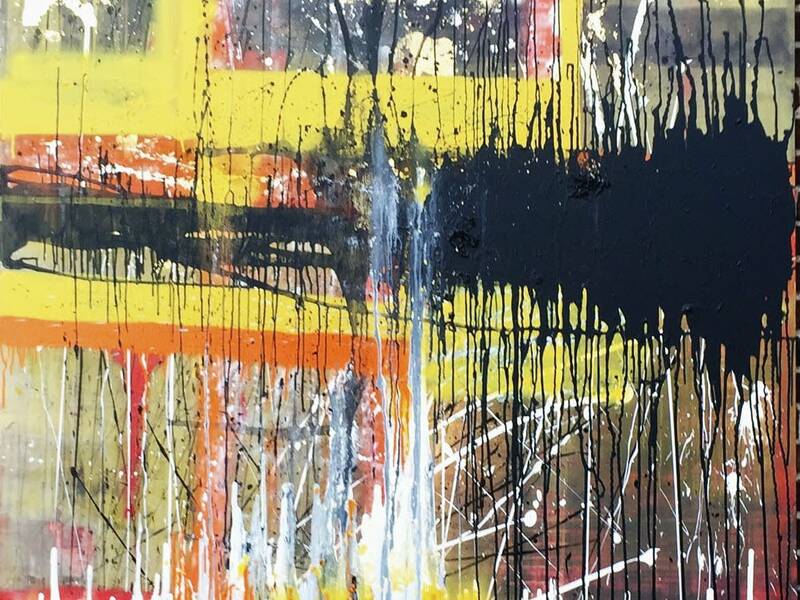 One painter has several large-scale abstract pieces on display on the roof. Because the building isn't secure, the artists have to take down their work every night, and set it back up the next day. "Doing art whenever you feel like and wherever you feel like sometimes has its price," Mumin said. "We don't need to go to the gym!" Kaamil Haider has two looped videos in the exhibition, both on the theme of ritual and repetition. In one piece, a man does his ablutions in preparation for prayer. In another, two women go through the gestures of pounding corn, while Haider's mother sings traditional folk songs in the background. The name of the exhibition, "Anomalous Expansion," is a reminder to the artists never to get too comfortable, Haider said, and to challenge themselves to grow in new ways. Coming together to mount their own exhibition was just such a challenge. 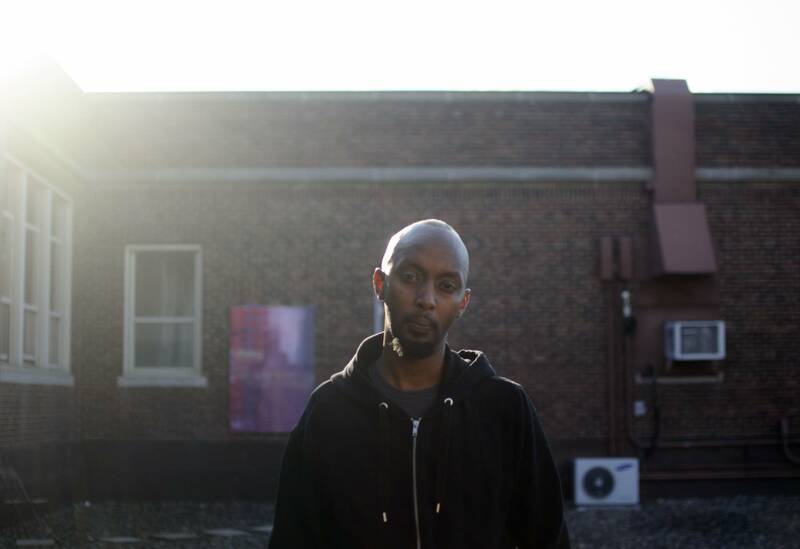 He hopes young Somalis who attend the show will be inspired to make their own art, and will recognize that they have mentors in the community. Mumin transformed a small room into a site-specific installation, working with a destroyed piano he found there. He added light projections and curtains to create a piece that underscores the building's state of transition. What was Catholic will be Muslim; what was built was broken down, and will be built up again. "Whatever you're getting back is what you're reading off that piece — and in many ways connecting to something about you, about the world," he said. "Just allowing yourself to come into the space and feel what you feel and take whatever you take away from it." Tricia Heuring, director and co-founder of Public Functionary, a contemporary art gallery in Minneapolis, advised Mumin and Haider as they were putting the show together. She's impressed by what the artists have accomplished with little funding or support. "The dedication that they're showing to their practice and to having a say in contemporary art in the Twin Cities, and doing it under these difficult circumstances — it's like the message of this whole building, and the artwork holding meaning within that building," she said. "It's bigger than just the artworks that they created." When a mosque takes over a church building, community tensions can result. Heuring said that in the case of St. John's becoming the Darul Uloom Islamic Center, these artists recognized the opportunity to create something beautiful that invites everyone in. 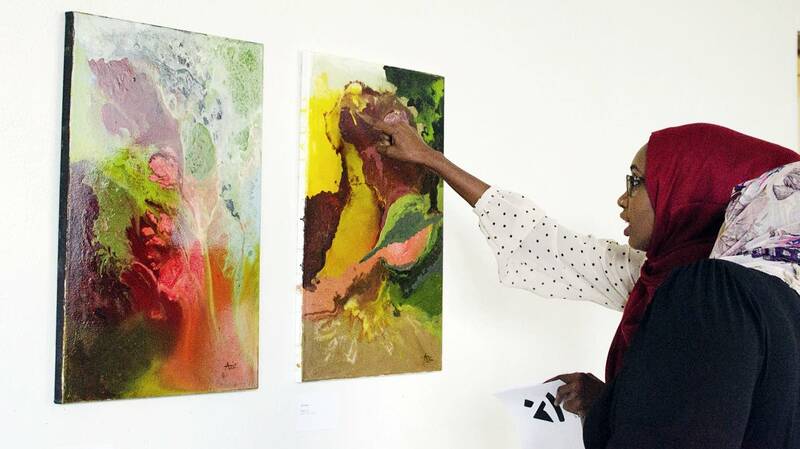 "Anomalous Expansion" runs through Oct. 8 at the Darul Uloom school building in East St. Paul. There will be a special reception from 5 to 8 p.m. Saturday, including tours of the exhibition and the mosque, and a panel discussion.